This is the document that IELTS examiners use to mark your writing task and assign a band score to it. In order to score a high band score you will need to demonstrate the skills that your examiners are looking for in this document. NOTE: If you don't understand all the information in this chapter, don't worry too much. We will revisit every single one of them in a lot more details in the remaining topics for IELTS Academic Task 1. This refers to the core idea being described in the figure. If you confuse key features with details in the figure then you cannot score above Band 4. If the key features highlighted by you are inadequate or you have focused more on the detail then you cannot score above Band 5. If you highlight all key features accurately but the details are irrelevant, inappropriate or inaccurate then you cannot score above Band 6. This is the summary at the end of your report. If you do not write an overview, you cannot score above Band 5. If your overview does not have appropriately selected information, you cannot score above Band 6. In other words, if you want to score Band 7+, you need to consistently, accurately and appropriately demonstrate the use of all 3 points highlighted above. With regular practice you will be able to do this well. Combine this with logically presenting your ideas in paragraphs and demonstrating a range of grammatical structures and vocabulary and you will soon be close to getting a Band 9 in Writing. How do I download the Band Descriptors? The provided link keep taking me to scribd. Is there any other method to get these docs. Glad you liked it. 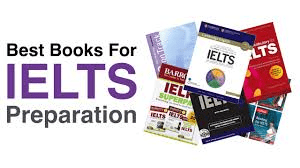 Let us know what you are struggling with in your IELTS preparation. Glad you found it useful. Let me know if you need any more help with your IELTS prep.